Yes.... my face has experienced yet another face mask that I must hare with you all! You may remember in a recent boots haul post I showed 4 of the Montagne Jeunesse face masks that I had grabbed while they were on offer! Well I treated myself to one of them this week and thought I would pop up a review for you guys! 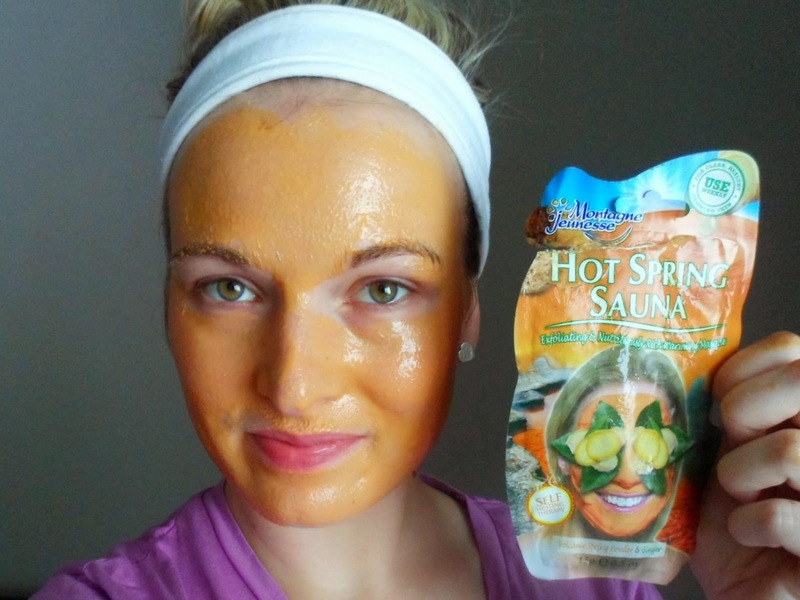 Now I had never ever tried a self-heating mask before this, as I had always been a bit worried by skin would react (I had one nasty face mask disaster once and it's made me forever weary of such things!) - but I was home for the whole day so thought even if there was some form of disaster I could hide away and wait for it to go down...... anyway saying all that - my skin was fine! This stuff is made with volcanic spring powder and chopped ginger .... so if you aren't a fan of the ginger scent then this is not the on for you! Personally, I love the smell! With it's exfoliating bamboo I slowly massaged the product evenly over my face and left it for 10 minutes! The heating was strange - it really did heat up and for a second I was a little nervous but it was fine! The warming helps to open up your pores for a nice deep clean and you can really feel it working! After 10 minutes I rinsed off the mask, which is fairly abrasive I will worn you - so if you have really sensitive skin this may not be for you, but I found it okay! Afterwards my skin felt so smooth and soft, it literally felt like all the dead skin and cells had been completely wiped away and I was left with a sparkling fresh face! For only £1 this is definitely worth the pennies for a fab weekly/fortnightly pamper! 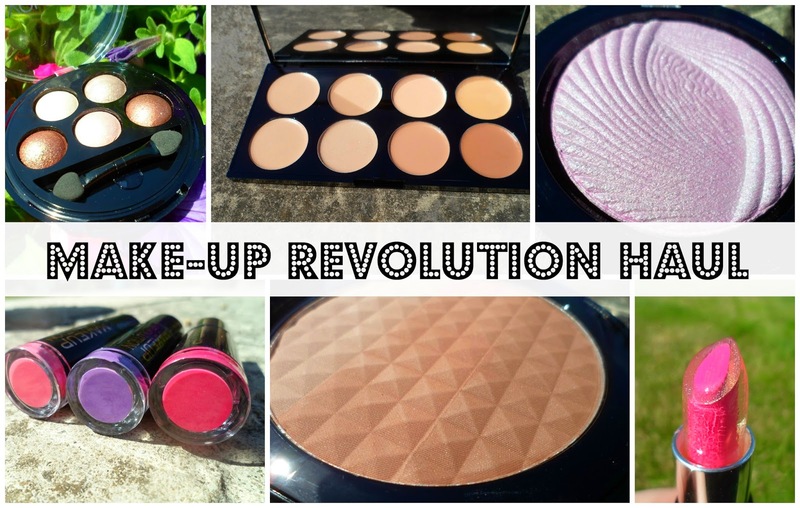 If you haven't heard of Make-Up Revolution yet then.... where on earth have you been? After trying out a few products a couple of months ago I was long over-due to place a cheeky order with the new bargain brand! After a long, long browse I narrowed my shopping basket to these few beauties - I literally could buy everything... and I'm sure overtime I probably will! First up I'll share with you the lip products I ordered - everyone knows I have a lipstick/lipgloss/lipanything addiction so it was seriously hard to pick only a few to buy at first! I have one of these tubes already in the shade 'Baby Try' and love it! Normally I'm not a fan of tube lipglosses but these are great and this one has a lovely sugary scent! 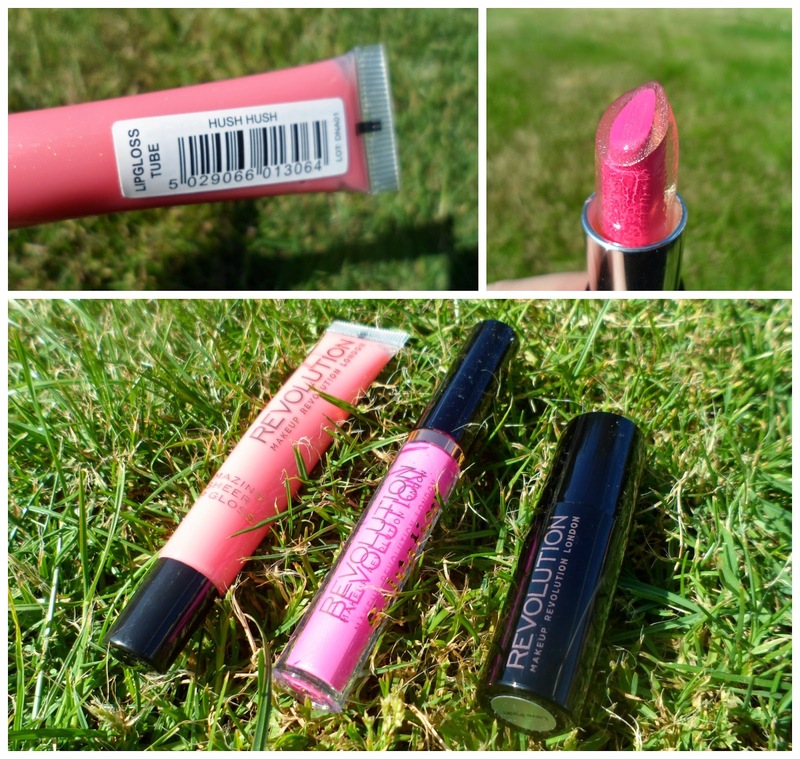 These remind me of Rimmel's Apocalips - a gorgeous thick lipgloss with amazing highly pigmented colour and this one has a great shimmer to it too! I was a bit dubious about buying this as I wasn't sure weather it would be a normal lipbalm product which I already have a million of but after trying it out quickly I have been so pleasantly surprised! This stuff feels amazing (funnily enough that's the name of the product!) 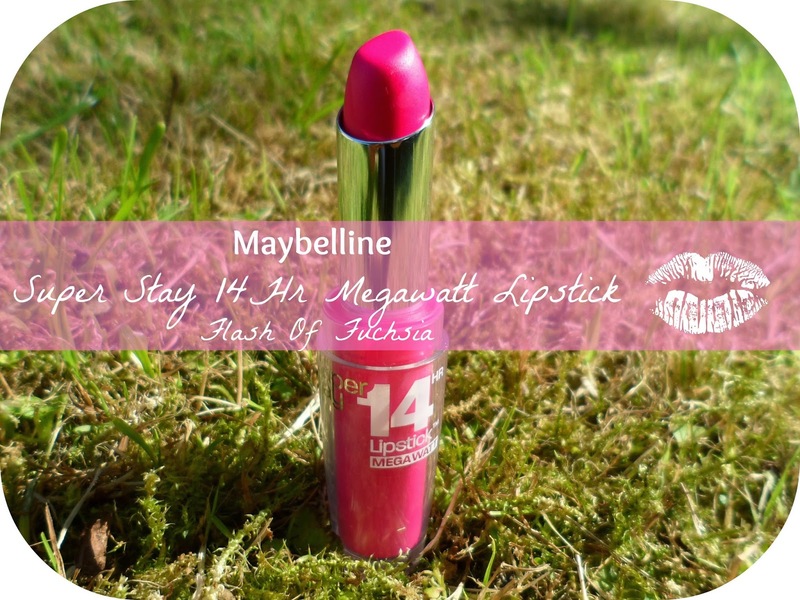 it has argan oil in it which is pretty cool and it gives a great colour aswell as fully hydrating my lips! How I only bought 3 lipsticks I don't know..... I'm already twitching to buy more! 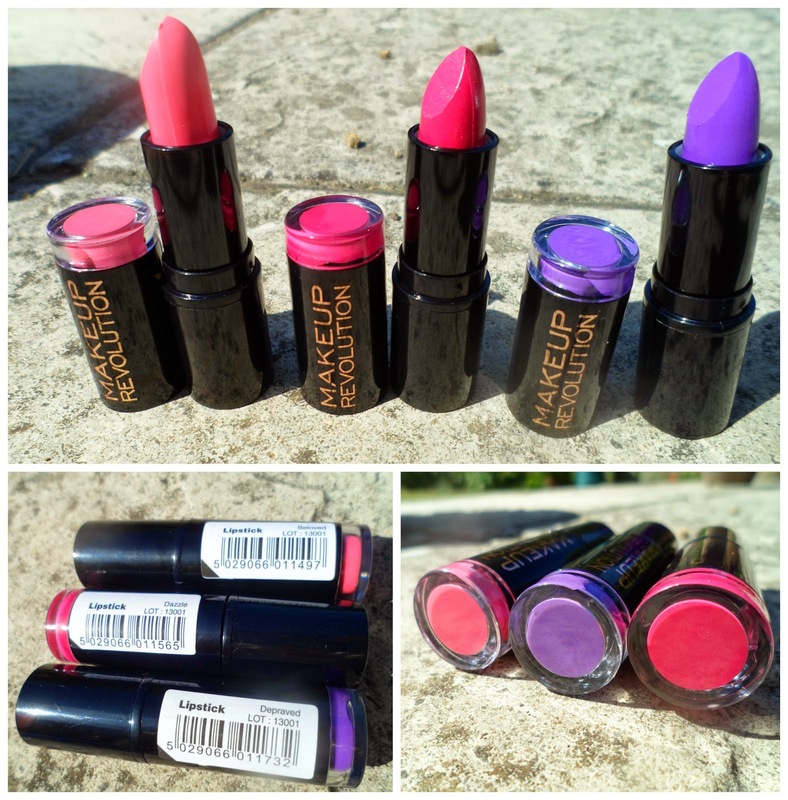 These are the 'Amazing Lipsticks' and they are only £1 each! Total bargain! I picked up (left to right top photo) Beloved, Dazzle & Depraved! These are a gorgeous trio of colours and for £1 I cannot express how much you need these in your life! This was so much bigger than I was expecting which is awesome - talk about more for my money! This has three lovely shades though it adnd looks like it is going to be perfect for summer - cannot wait to take it on holiday with me! 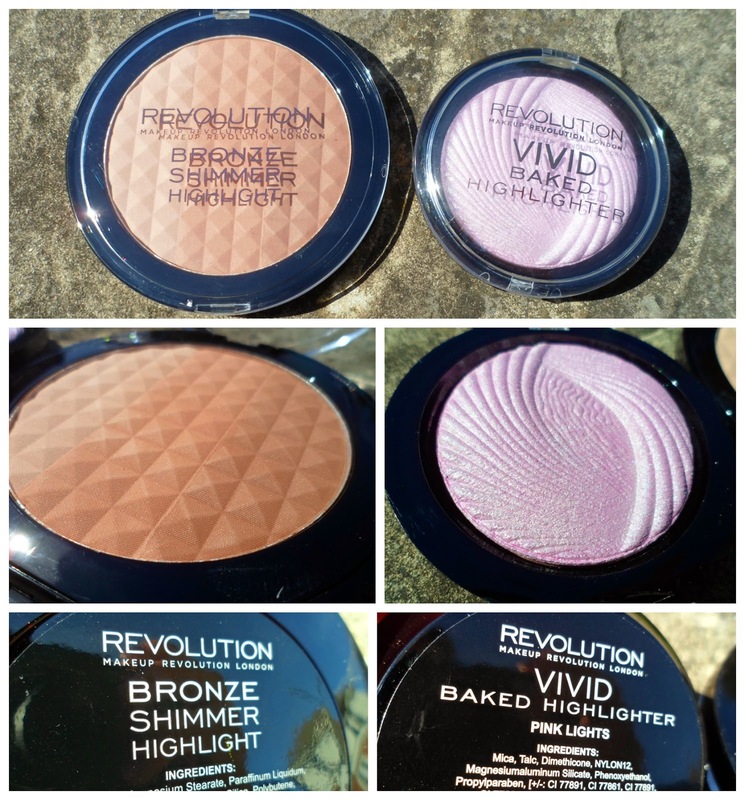 Now I already owned one of these highlighters and loved it so much I have to buy another one (I now only have one of them left to buy which I can imagine will be very soon) These are only £3 each and a total steal - the perfect powder highlight! The lovely people at MUR actually contacted me when they knew I was going to make an order and asked if I wanted to try out one of their NEW palettes as part of my order for no charge! Obviously this was a huge yes please!! I have been seeing so much about these palettes and it really was a right toughy trying to pick one! I thought this looked perfect for sorting out an imperfections and may have a go at some contouring with it! Lastly we have eye products! This gorgeous neutral/bronzed selection is my idea of heaven. I live for my naked palette and these colours are right up there with them! I am so so chuffed with it and can't wait to try it out properly! I have been running out of eye primers to use so obviously buying another one was already on the cards - this feels like it is going to be great, can't wait to try it out along the baked eyeshadows! So there you have it they are the 11 items I recently picked up from Make-up Rev! 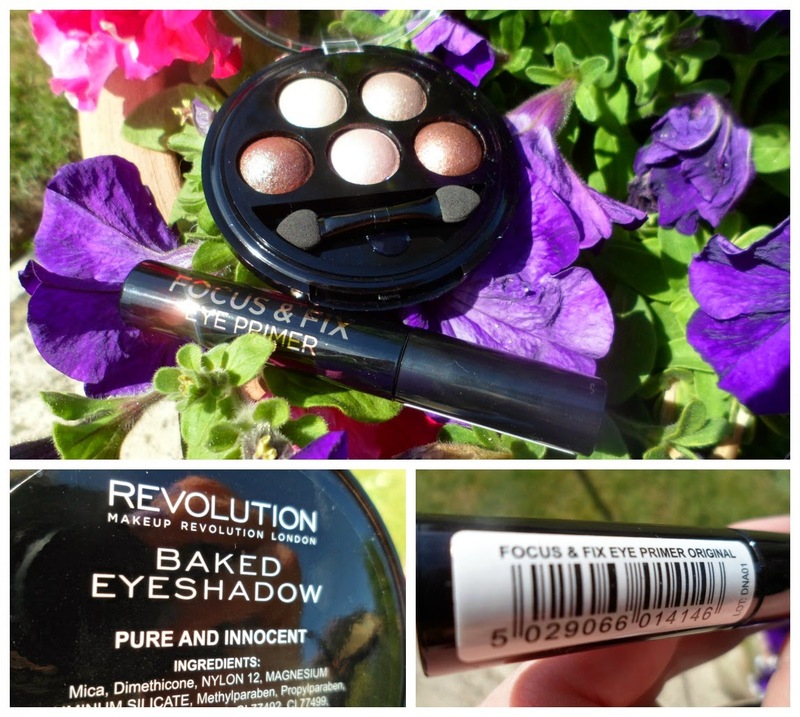 You can find everything you've seen here on the Make-up Revolution official website - www.makeuprevolutionstore.com or Superdrug. What are your favourite products from MUR so far? What should I buy next?! Pink lip products and I go together like pea and carrots. I am obsessed and as Miley would say ... I can't stop and I won't stop - they just keep on coming and my collection is literally growing by the day.... I have issues okay! 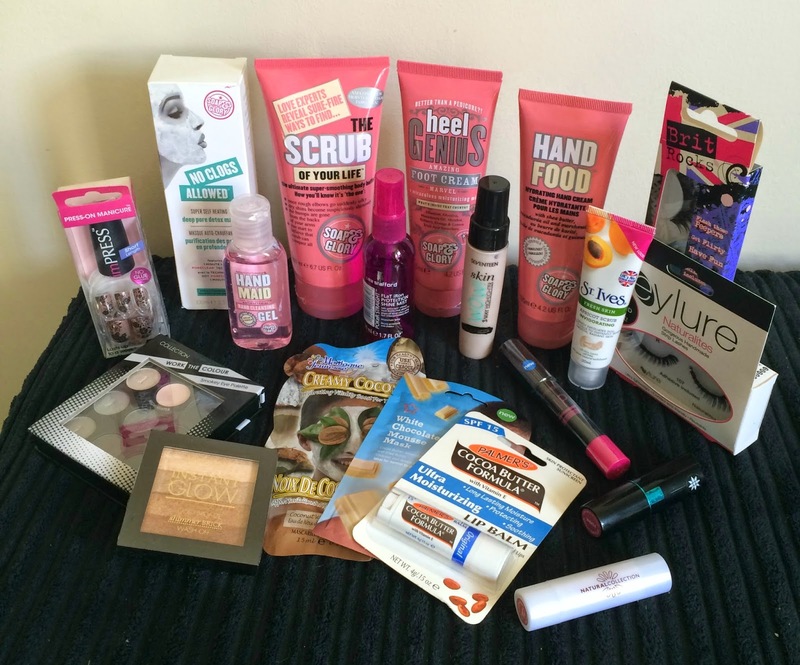 You may have seen this in my Boots Haul video I uploaded last week! 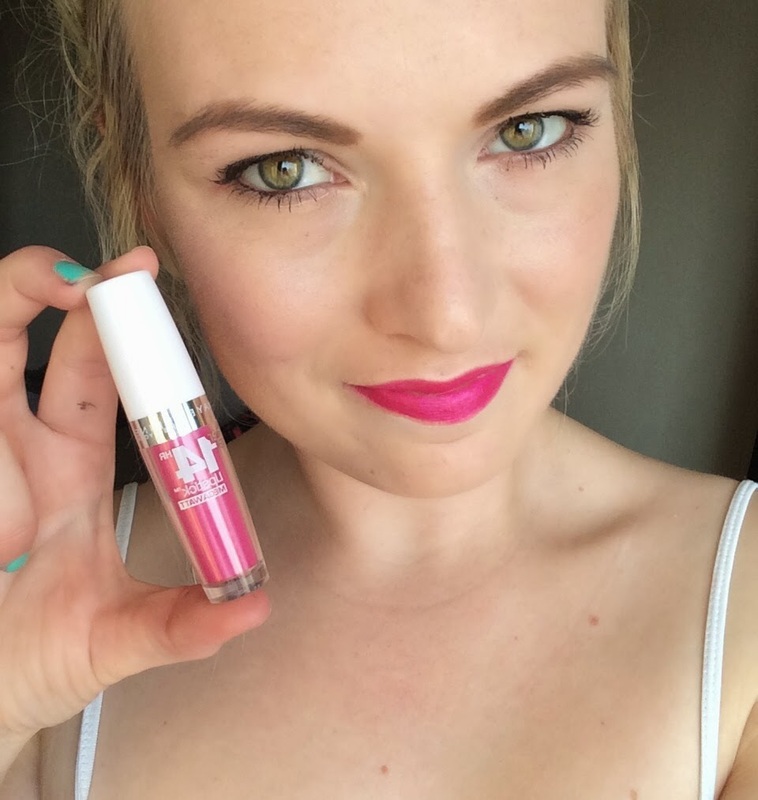 This is one of the Rita Ora lip crayon from Rimmel and I had been eyeing it up for a while! I am so excited about today's post! Not only does it involve pretty things BUT it also involves other bloggers - yay to community love! NOWSEEN.com are a fabulous jewellery brand, priding themselves on their beautiful real gemstones and precious metals, and they have come up with an amazing new campaign for us lucky bloggers! A huge part of blogging is it's community and it's something I have been so excited and happy to be a part of over the past 13 months or so! Talking and getting to know other bloggers is great (funnily enough we all have alot in common!) and it's so nice to get to know the people behind the blogs you read and love. The community is so supportive and it's always great to see other bloggers praising and promoting each other! The NOWSEEN.com ‘#BBFF’ (Best Blogging Friend Forever... duh!) Campaign that I am starting today is designed to celebrate the community spirit and friendships which have been formed within the wonderful world of blogging! To do this NOWSEEN has decided to set off a chain! A fabulous gift chain of their infamous Lunar bracelets to 10 bloggers and I am so overwhelmed to be the first link! To start off the campaign I got to choose one of the gorgeous Lunar bracelets for myself and after alot of deliberation went with gorgeous Rose Quartz Gold Plated Sterling Silver* version. This bracelet is gorgeous, I am in love with the pale pink colour, totes perfect for summer! I'm so happy with the choice I made and even more happy that I now get to pick someone else to receive a gorgeous Lunar bracelet of their choice! Now this was a hard one but I have picked.... (drumroll please readers....) Kate from sugarfixxbeauty as my #BBFF! Not only is Kate an incredible blogger and youtuber but she has been so lovely to me since joining the blogging community (she's a Buffy fan so it was obvious we were going to get on!) 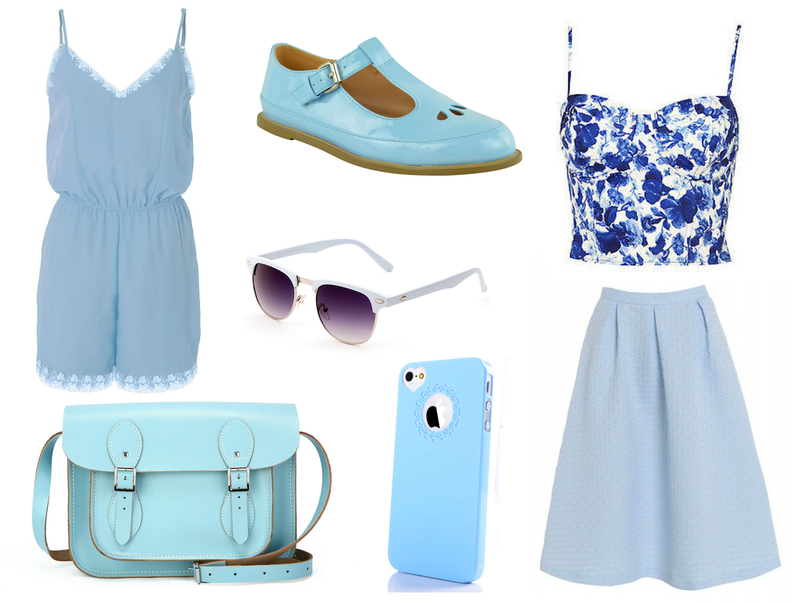 and I thought this would be perfect for her and her gorgeous style! 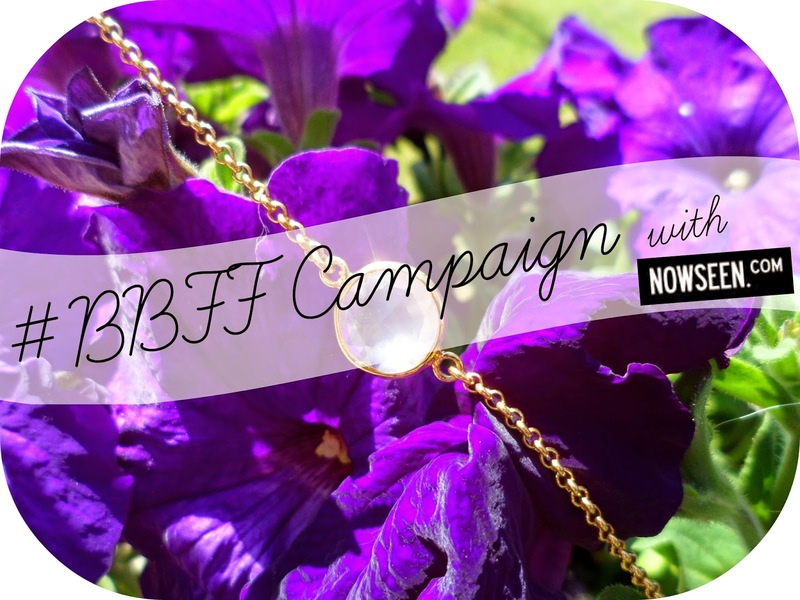 So keep your eyes peeled for the next part of the chain - Kate from sugarfixxbeauty and see who she picks as her #BBFF to carry on the campaign! A huge thank you to the lovely Claire and the extra lovely people at NOWSEEN.com who have given me the opportunity to start this fab campaign off for a great community that I'm so proud to be part of! You just can't stop me spending my money on stuff like this.... I need help! 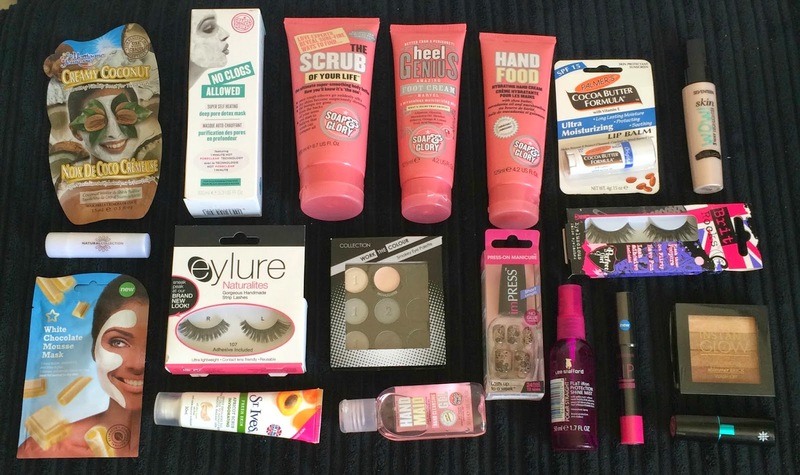 59p bargain buys, shower essentials and lots of pink things - enjoy! Scrubs are so essential to me when it comes to summer! Everyone wants soft, fresh skin especially when it comes to getting that all important tan and I am no different! I have started prepping my body for sun worshipping lately.... Not that I know when I'm going to be able to do this apart from my holiday in September but like my old teacher always used to say "fail to prepare and prepare to fail!" This is the Yoga Blend Body Scrub* from Nip + Fab, a brand which I have been trying out a few products from recently! This has been sat in my shower for the past week and I have been loving it! Normally I tend to avoid products with lavender as one of the main ingredients, as I used to hate it as a kid - but funnily enough now I've grown up a little the smell is slightly more bareable to me and I actually really love this! Coconut & Rose aswell ... yum! This stuff says it is to help you unwind and de-stress - I can confirm... it works! The scent is so relaxing and calming - perfect for both morning and evening showers! The scrub isn't overly harsh and abrasive but it definitely does the job, leaving my skin soft and a lot smoother than before. This has been great for the annoying bumps on the backs of my arms - especially with the hot weather and wearing less clothing! This is a new favourite of mine and am sooo happy I've found it at the beginning of summer so my skin is all snazzy for the hot months and my holiday!! 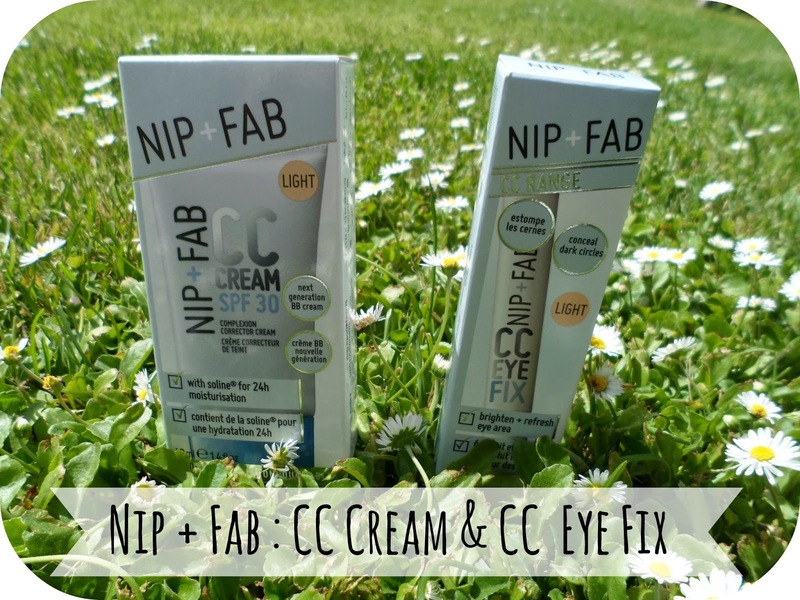 Nip + Fab I'm giving you a high five here for this one - good job! Hello you cheeky lot! If you follow me on twitter then you may have known this was coming....can't keep anything to mysef can I?! Yes! 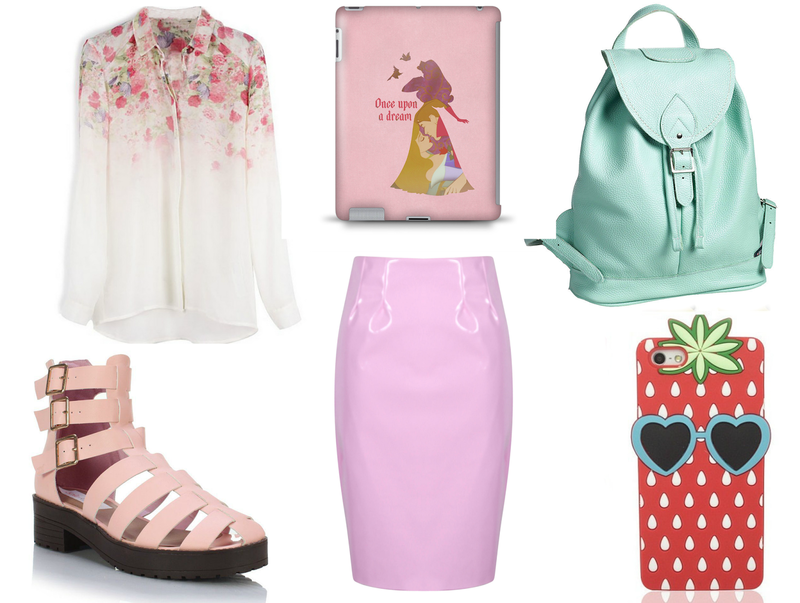 I have managed to hit 2000 followers on bloglovin which means --- Happy giveaway time! I am still astonded that I have managed to convince over 2000 of you to hit that follow button on bloglovin.... I must be very persuasive?! It literally feels like yesterday that I was writing the same sort of thing for my 1000 followers giveaway and I am so happy and over joyed to have double that number - totes cray cray guys!! I just wanted to say a massive THANK YOU to everyone who has been so lovely and supportive to me and this giveaway is for YOU! NOTE : I really, really would love for this prize to go to one of my readers/a fellow blogger/a make-up lover - so if you have just stumbled across this site and are just going to enter for the sake of it without any interest and no intention of trying out the products yourself then I please urge you not to enter so that someone who really deserves to win does - as at the end of the day whoever wins is out of my hands! I don't know about you but all this hot weather we've been having lately has been playing havoc with my usual make-up routine! Major heat + humidity + a full face of make-up never really ends well does it? So I've been cutting back on my products for the last few days and wearing a minimal look which has turned out to work out so much better for me and my skin in this heat. No-one wants to get home from work looking like Olaf next to a flame do they? 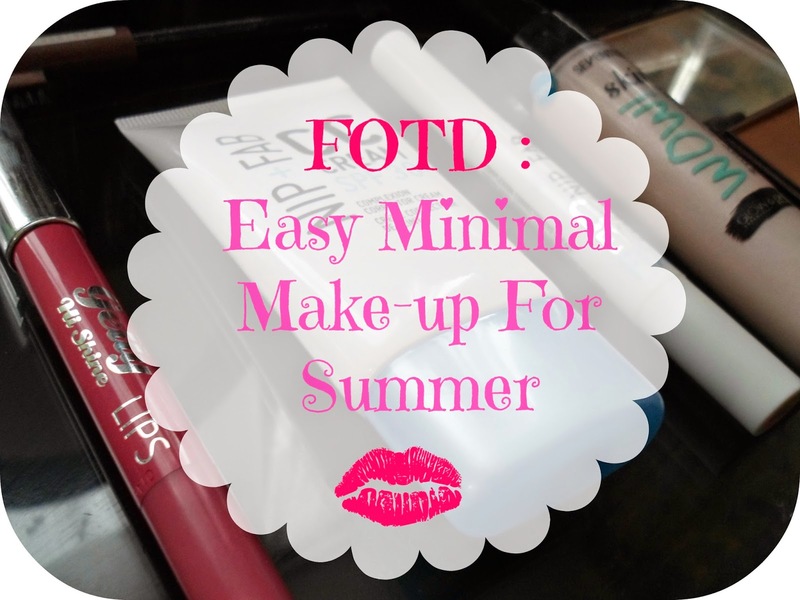 So here's a quick and easy summer minimal make-up look! And here's the overall finished look! This is really light, minimal look for me but it's perfect for a day at work in the heat or for popping out to the shops or to my parents house. Obviously I used my usual brushes and my beloved eyelash curlers to help me achieve it but it really is so simple and a such a quick look to complete! I love the lip shade so much, the perfect tiny pop of colour without being too OTT with the simple eyes! What do you think? Do you change your make-up in the summer?